That range focuses on single cask bottlings in drinking strength of 46%. Of course, they come without artificial colouring and un-chillfiltered like all MALTS OF SCOTLAND bottlings from diligently selected casks. Range 46 talks to lovers of Scotch Whisky who find bottlings at cask strength less agreeable but prefer bottlings of MALTS OF SCOTLAND at easy drinking strength. 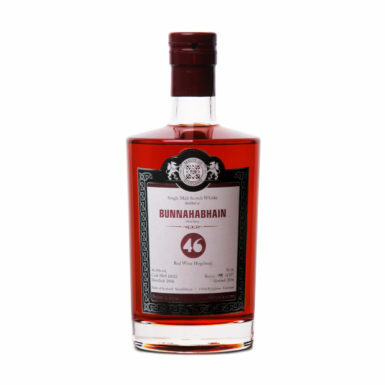 It goes without saying that the range includes peated and un-peated expressions from different cask types such as ex-Bourbon, Sherry, Port, Rum or even Wine casks.